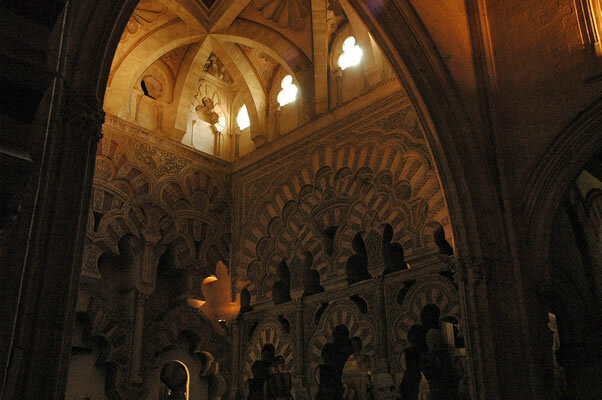 This marvel of Islamic Caliphate-style architecture, whose beginning and end was in Cordoba, lies in the richest section of the Mezquita, the expansion ordered by al-hakam II. It served as an anteroom to the mihrab, in the center aisle of the great mosque before the Almanzor expansion. In the 13th-century it was converted to Christian use, and behind it was located the Royal Chapel. It is now known as the Villiviciosa Chapel, named after Our Lady of Villaviciosa.